Technologies change. Our standards remain. With the launch of the SLS Electric Drive in 2011, we delivered pioneering proof that a 100% electrically driven supercar was no longer the stuff of science fiction. We’ve been working on new electric drive designs ever since. Three years ago, Formula One adopted hybrid technology. Mercedes-AMG Petronas F1 promptly won three world championships in a row. As a verdict on our efforts, those titles speak volumes. 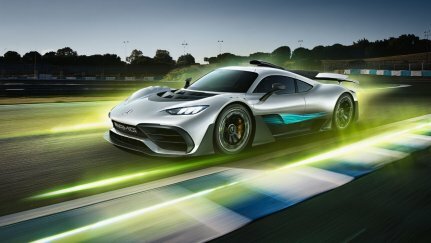 When it comes to motorsport-tested powertrain design, Mercedes-AMG has a unique capability. For the first time, Project ONE now brings that capability to the streets. In future, it will even go into serial production. But this is only the start. Future Performance stands for much more. It embodies our determination to be the spearhead of performance-oriented mobility across the board – from connectivity to comprehensive mobility solutions. To deliver the innovations that ensure our customers continue to live out their passion for performance to the fullest, as they have always done. Throughout all this, our benchmark will never change. We aim to drive the future of performance. 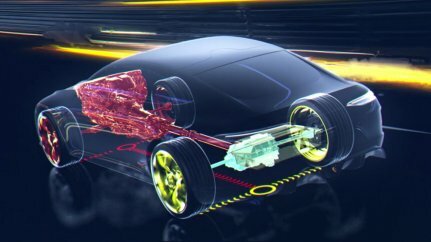 Discover the future of performance-oriented mobility.